The Willamette Valley Tee. This wearable piece of art is a delight to make and wear. 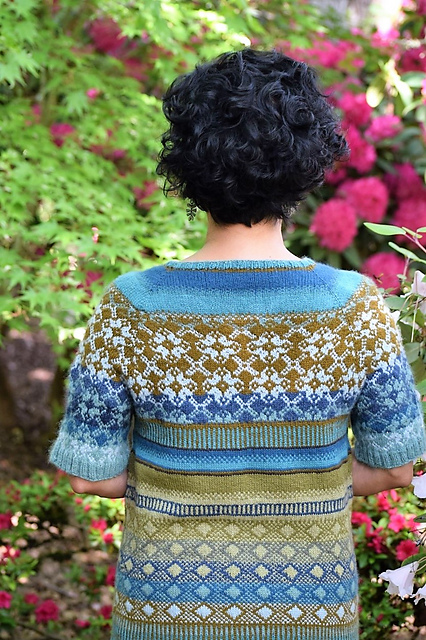 Using ten colors to create a beautiful interplay of pattern and light, this sweater would also look lovely in just two or three colors. Or experiment with stashbusting to create your own unique work of art. Available for ladies sizes small and medium (32-38 inches at the bust). See * below for notes about additional sizes. Large flower on front is optional. 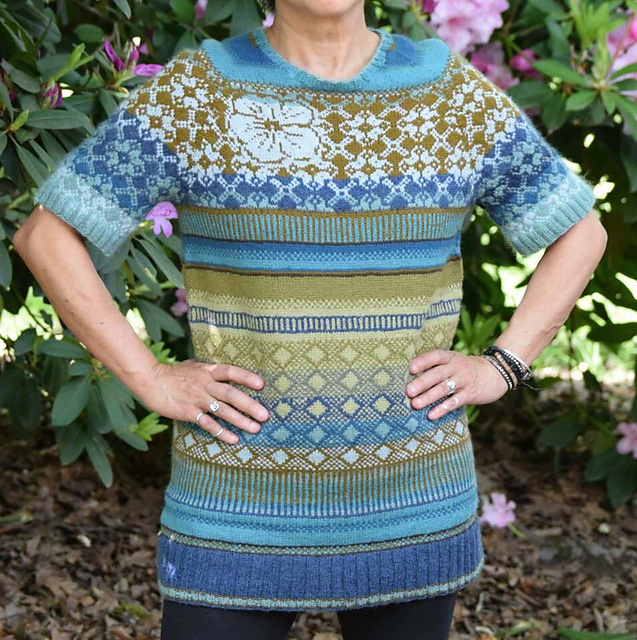 *This pattern is designed for sizes small and medium. I am working on a similar design, constructed differently, for more sizes. Please message me if you would like to be notified when such a design becomes available.